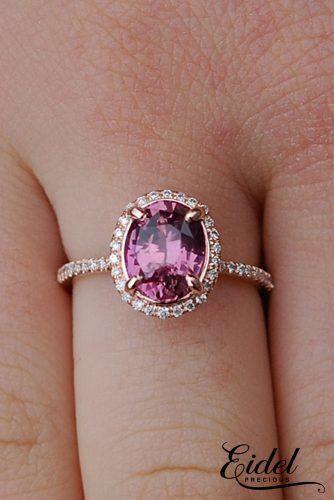 Your fiancee will definitely fall in love with this marvellous pink sapphire engagement ring (Photo 1). 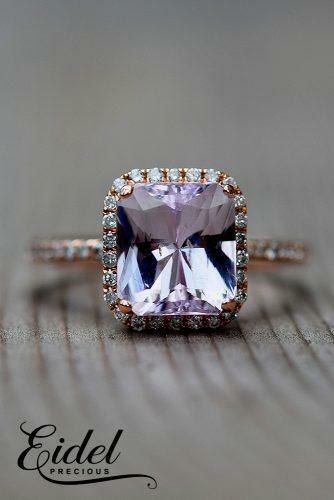 Breathtaking halo engagement ring in rose gold with peach notes sapphire (Photo 2). 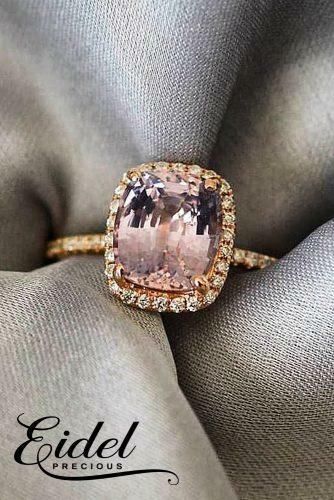 Emerald peach sapphire (Photo 3) – this stunning ring features a natural non-treated sapphire in gorgeous light pink shade that change its color depending on the lightening. 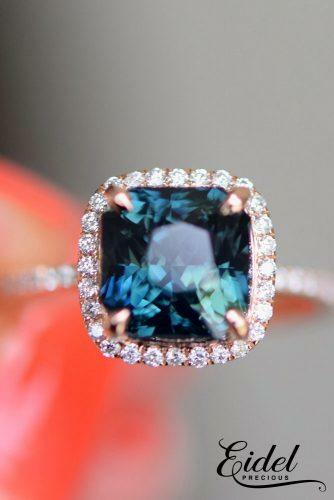 Teal sapphire engagement ring (Photo 1) – take a look at this sparkling 2.51ct sapphire set in gold diamond setting. 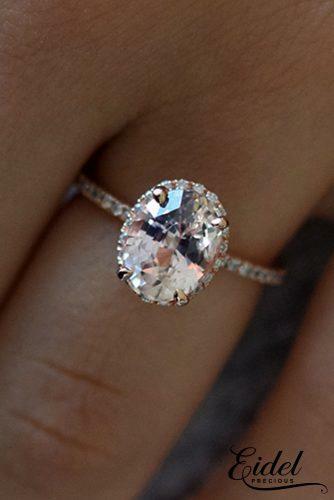 Peach sapphire engagement ring (Photo 2) – this beautiful ring will make any woman happy with a natural sapphire in gorgeous peach champagne color. 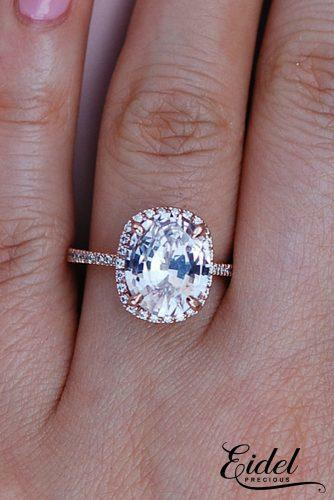 Enchant her with this amazing engagement ring (Photo 3) oval champagne sapphire ring in rose gold. 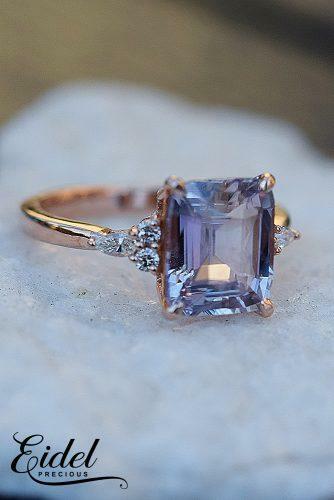 If you like vintage, you’ll appreciate this rose gold engagement ring (Photo 1) with square peacock sapphire in diamond halo. 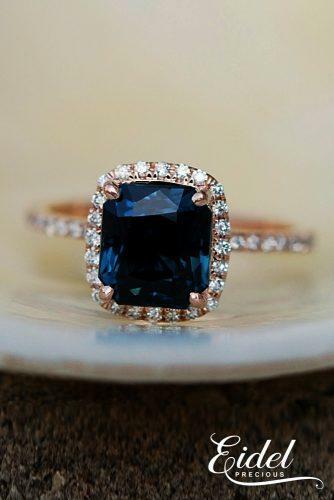 Pay attention to a fantastic pomegranate sapphire engagement ring (Photo 2) with pave band. 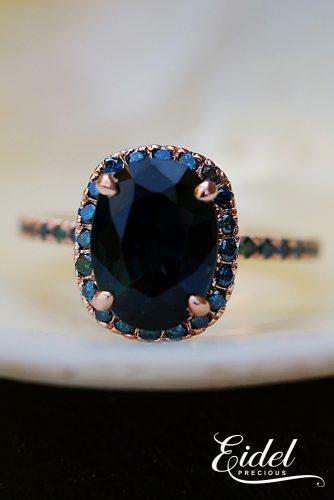 A real princess will look even more royal with this stunning ring (Photo 3) with 2.75ct peacock sapphire, blue diamonds in rose gold.